This is the back of the old Coca-Cola bottling plant on West Sullivan. The trucks backed up this ramp to be loaded for deliveries. Backing up the ramp must have been fun, especially before dawn. Or raining. Or in snow. The windows in front of the building allowed you to watch the process as the bottles whizzed by. Hot stuff in the ’50s. This entry was posted in bob lawrence photography, Uncategorized and tagged coca-cola bottling plant, Kingsport TN, loading ramp, West Sullivan Street on October 7, 2017 by Bob Lawrence. This is on the corner of Fairview and West Sullivan. 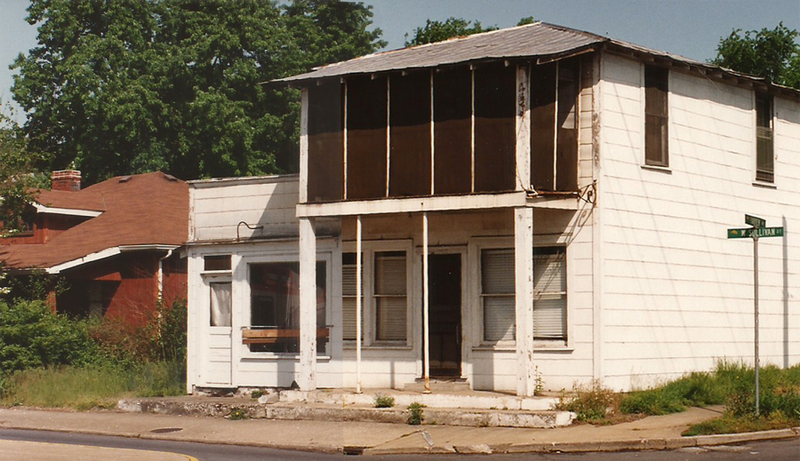 Back in the 50s, this was Barker’s Grocery. The owners lived upstairs. Down from it somewhere was a Yellow Front Market. There were a number of homes and small businesses here once, before the city decided that the increase in traffic warranted a complete redo of that area where Sullivan Street goes under the railroad. The roads in the area; West Sullivan Street, West Center Street and Ft. Robinson Drive, were also rerouted slightly. The home next to the building is of the period, also. It’s not in this picture, but if you look carefully, should you be idly passing by this area sometime, you’ll see a stonework gatepost with the original iron still in it just west of the brick house. I suspect it was the entrance once to the Roller property. This entry was posted in Bob's photos and tagged Barker's Grocery, Fairview Avenue, Ft. Robinson Drive, Kingsport TN, Roller property, West Center Street, West Sullivan Street, Yellow Front Market on March 2, 2015 by Bob Lawrence. This is 469 West Sullivan Street. In 1959, this was Porterfield City Feed Company, next to City Poultry and Egg Company. CP&ECo was on the corner of Sullivan and what was then Island Street (It’s now Mission Street). The buildings are currently derelict. When I was a kid, I had a paper route in downtown Kingsport. One year, the Kingsport Times-News, then located on Market Street, held some sort of contest and I ended up winning a certificate for a turkey from CP&Eco, just in time for Thanksgiving. It was, as I recall, a mingy turkey, but it was quite welcome, since my stepdad wasn’t having a particularly good year. My stepdad never had a particularly good year. 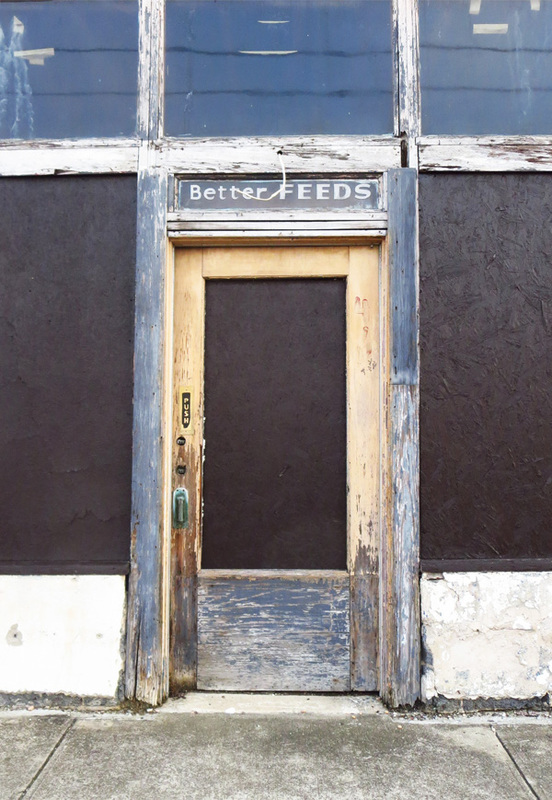 This entry was posted in Bob's photos and tagged City Poultry and Egg Company, Kingsport Times-News, Kingsport TN, Market Street, Porterfield City Feed Company, West Sullivan Street on November 9, 2014 by Bob Lawrence. 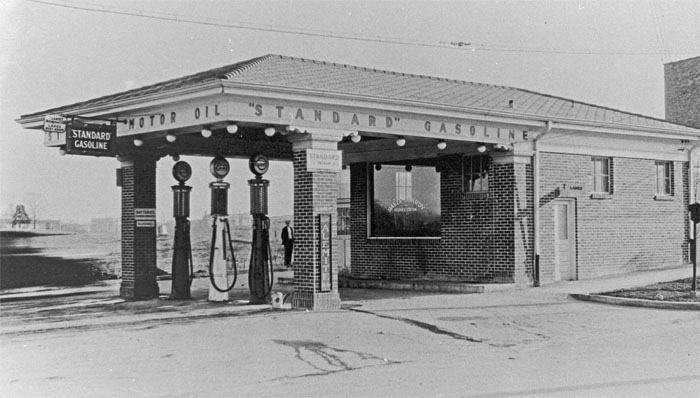 Baker-Clardy Service Station was on the corner of West Sullivan and Roller Streets, where the Funtastics (old Penley’s) building is now barely standing. This picture was taken when the building was brand new, sometime prior to 1929, when Baker-Clardy ran several ads in the Kingsport Times News. Note the dude standing in the background. He’s checking out the photographer. This entry was posted in Bob's photos and tagged Alemite, ESSO, EXXON, gasoline, Kingsport TN, Roller Street, Standard Oil Company, West Sullivan Street on September 1, 2014 by Bob Lawrence.